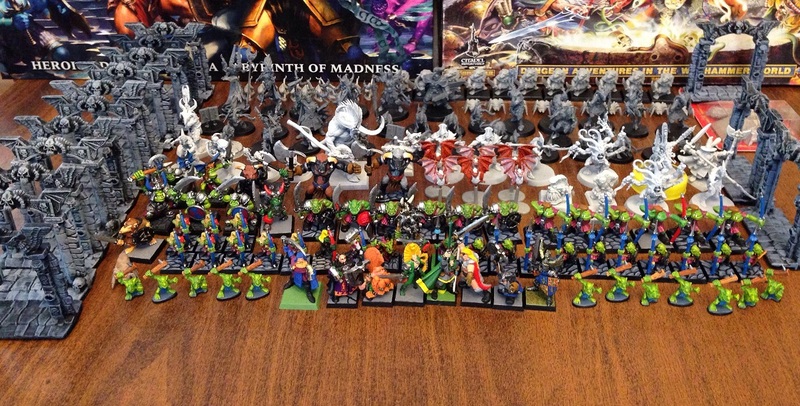 I started this blog in 2013 mainly to keep track of my progress painting my miniatures collection. I divided the collection into various ‘projects’ to make keeping track easier and also provide for senses of completion along the way. The image above has all the models in various stages. One still in the blister (the Lich King) others assembled but not undercoated, some undercoat, with the painted ones at the front. I won’t make any promises about the next update – though I added the slayer from the new edition to the painting tray, so probably before the end of this year, at least! That’s great, Dave. 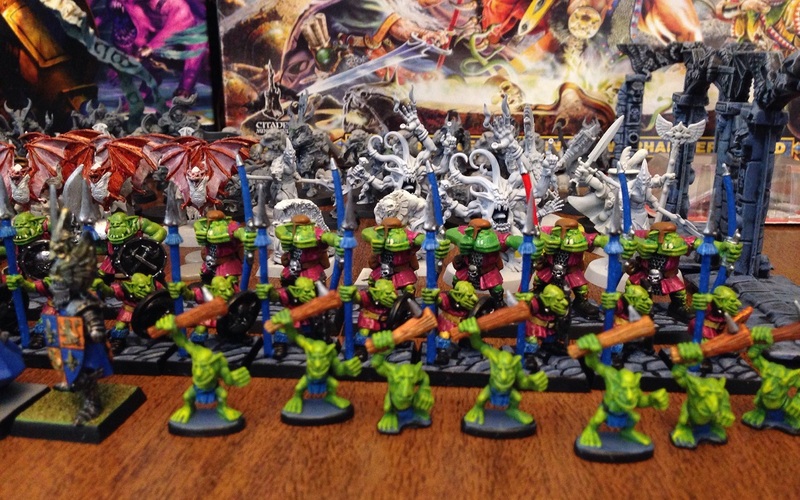 I should really do something similar with Silver Tower and make a concerted effort to paint the contents up – it’d be nice to actually be able to play it! thanks for letting me know about the link, fixed it now. Not sure when I will get to my Silver Tower in earnest. I would want to finished everything I’ve bought this year and last year first, so probably 2019! 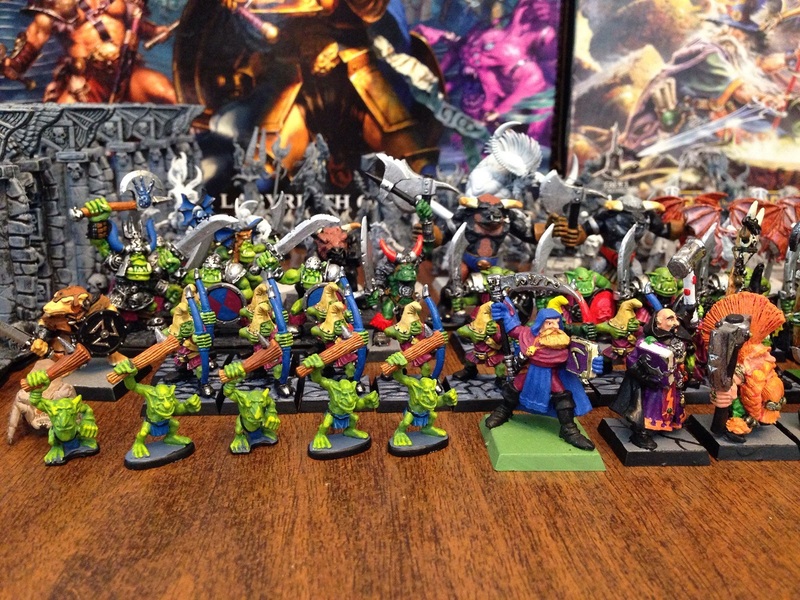 It’s been so long since I had seen the original Warhammer Quest, that I forgot what the minis even looked like. Well, some of them. Some I do recognize. That Wizard is looking pretty awesome up front. Maybe if I ever get caught up on my current projects, I’ll have to add Warhammer Quest to my games pile too. I know I’ve certainly been tempted over and over. The wizard is an old metal warhammer mage – either Grey or Amythyst, I don’t recall. This entry was posted on June 9, 2018 by davekay in Neglected models, The Projects, Uncategorized, Warhammer Quest and tagged miniatures, Warhammer Quest.